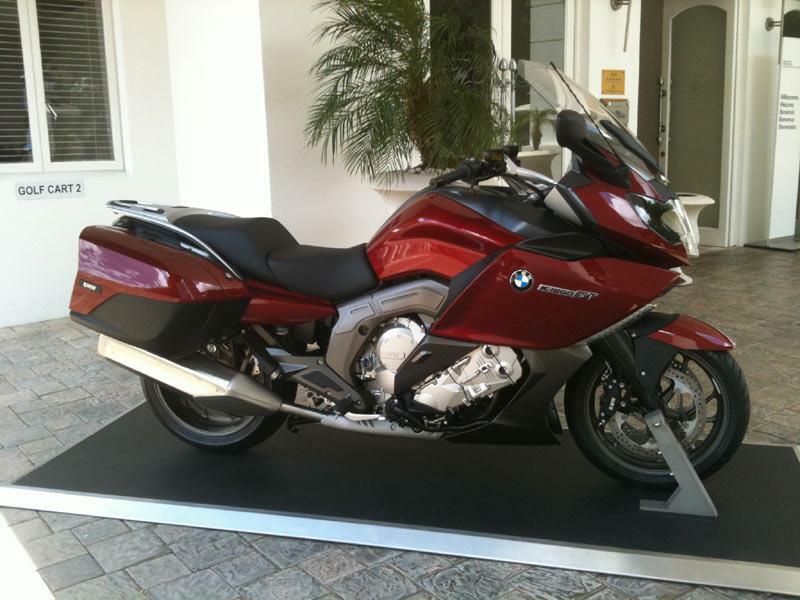 We’re at the world press launch of the new BMW K1600GT and it’s even bigger K1600GTL touring brother in South Africa. 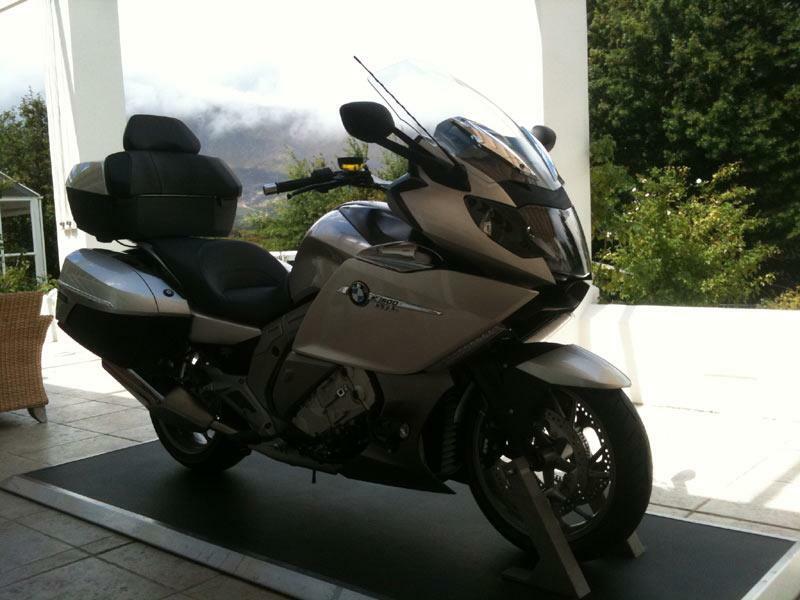 Over the next two days we’ll be testing the new 160.5bhp in-line six cylinder BMW K1600GT and BMW K1600GTL motorcycles on motorways and mountain roads in and around Franschooek in South Africa. The new 6-cylinder motorcycle makes an incredible 129ft-lb of torque and weighs in (90% fuelled minus panniers) at 319kg. The even bigger K1600GTL weighs in at 348kg and comes with a more relaxed riding position, bigger frontal screen and a huge top box and luxury passenger seat as standard. Tonight we’ll get the chance to test the bike’s optional directional headlamp which uses a gyro in the headlamp connected to lean angle and ride height sensors to keep the headlamp pointing round corners. We’ll report back later as soon as we get the keys tonight. No prices have yet been announced for the bike but sources say the BMW K1600GT will undercut the price of Yamaha’s £15,499 FJR1300, so expect it to cost around £15,000 when it goes on sale later this year. Staff bikes: BMW K1600GT SE - Rain? What rain?